Before we discuss the merits of local songwriter John Creech's latest solo record, Remember, let's address an elephant in the room: It's kinda old. As in, it came out in 2010. "So why review it now?" you might ask. It's a fair question. For starters, when Creech wrote and recorded the record, he was in the throes of losing his primary enterprises: first Vermont Folk Instruments, then Burlington Guitar and Amp. As Creech's wife, artist Emily Bissell Laird, puts it in a recent email, he "didn't do much PR as he was focusing on the demise of his businesses." It's understandable that pimping the album would get lost in the shuffle. Still, three-plus years later, why not just let the album fade into the past? Here's the important point: Because Remember is an intriguing album and, as the saying goes, better late than never. Creech has been an active member of the Vermont music scene dating at least back to the 1990s, when he played clubs such as Club Metronome and the now-defunct Club Toast with his band Cloud People. Since then, he's been gigging regularly in a variety of roles with other notable local players all over the state. Creech is not a fixture, exactly, but more a player who haunts the margins. That's a position he sometimes assumes even on his own record. To craft Remember, Creech enlisted the help of some fine local talent, including guitarist Bob Wagner, bassist Aram Bedrosian, keyboardist Peter Krag, drummer Pete Negroponte and harmonica whiz Greg Izor, among others. To be sure, Creech seizes numerous opportunities to showcase his own guitar chops on these mostly instrumental compositions. But rather than dominating the spotlight, his playing is part of a larger tableau — a wise choice, given the caliber of his supporting cast. Collectively, Creech's compositions represent a sort of jam-inflected new-age style. They alternate from the pastoral ("Autumn") to the ethereal ("5,6,7") to the outright groovy ("The Dance"). On each, he displays a gift for writing hooks that return with force even on some of the more languid jams. The uptempo "1 in 3," for example, skitters between stylistically diverse sections, each slyly shaded by whatever instrument is taking the lead at a given point. But whether blissing out to Negroponte's fluid keystrokes, boot-stomping to Adrian Unser's high-flying fiddle or noodle-dancing to Creech's own guitar stylings, the cleverly omnipresent melodic theme keeps the song in balance. John Creech is reportedly devoting more of his creative efforts to making music. We're told he has a new recording project on tap, which we'll hope to review before the next Winter Olympics come around. In the meantime, listening in on Remember is a worthwhile endeavor. 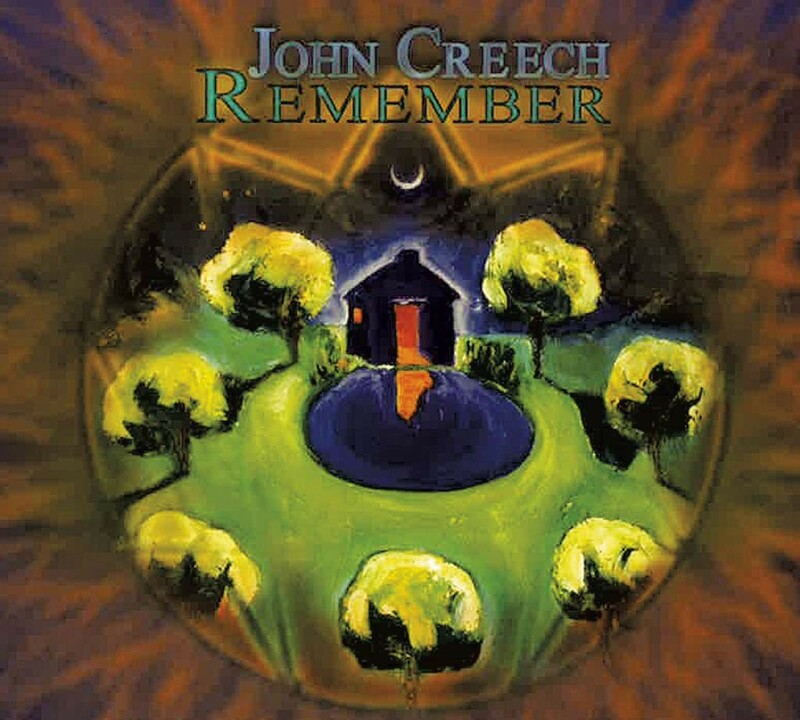 Remember by John Creech is available on iTunes and CD Baby.